I have to say, when it comes to my workspace, I take it quite seriously to create the perfect environment that sets just the right mood for me to be productive and focused whether I’m working on new creative content or studying for my upcoming midterms. When my working area is well harmonized, it automatically puts me in the right state of mind to work until all the checkboxes from my daily to-do list are finally checked. And since I’m all about that #bosslady lifestyle as seen in my 5 Habits of a #BossLady post, here is how to create the perfect workspace and get things done! Back in the days, my then art teacher used to tell me that the way our workspace is organized reflects on us. A cluttered space usually translates to a cluttered mind. Keeping that in notice, I always feel overwhelmed and disoriented when my desk becomes a complete mess. So, I try my best to keep it organized and decluttered for my brain to function normally. Now, depending on your own definition of ”organized”, the way you keep it tidy can be completely different from mine and that’s totally okay. What’s important here is that you keep a clear and healthy mind by how you organize your working space in the best way possible according to your own preferences. Whether you’re all about that instagrammable minimalistic décor or maybe you’re more drawn to an industrial setting, you need to choose the aesthetic that inspires you and makes you feel good. Decorate your working space according to your own sense of style. Make it personal and let it evolve. You’ll sit there many hours a day, so make sure it reflects your personality and gives off positive vibes. To me, it’s a no brainer. Depending on what I’m working on, I always like to set the right mood to feel motivated and energized. If I’m doing some light work like answering emails or editing pictures, I usually like to turn on some uplifting beats in the background and put on the side a healthy snack that I can binge on once in while. If I’m trying to fully focus as I’m studying for my hard-core pharmacology course, for example, then I bring on a cup of tea, shut down all possible sources of noise and completely get in the zone. Creating the perfect ambiance simply sets the right environment to cross out all the work that keeps piling up throughout the week. Make it bright and luminous. I don’t know about you, but when my workspace is bright and luminous, I simply feel awake and ready to make things happen. So, try to put your desk next to a window to keep that natural light coming as it truly brightens up the spirit. It goes without saying that in order to create a perfect workspace, you need to keep your stationeries near you and any other office essential. Personally, I can’t live without my planner, my notebooks and my post-it notes. So they’re always somewhere near in case I need to quickly right down a note or simply cross out a task I just finished. 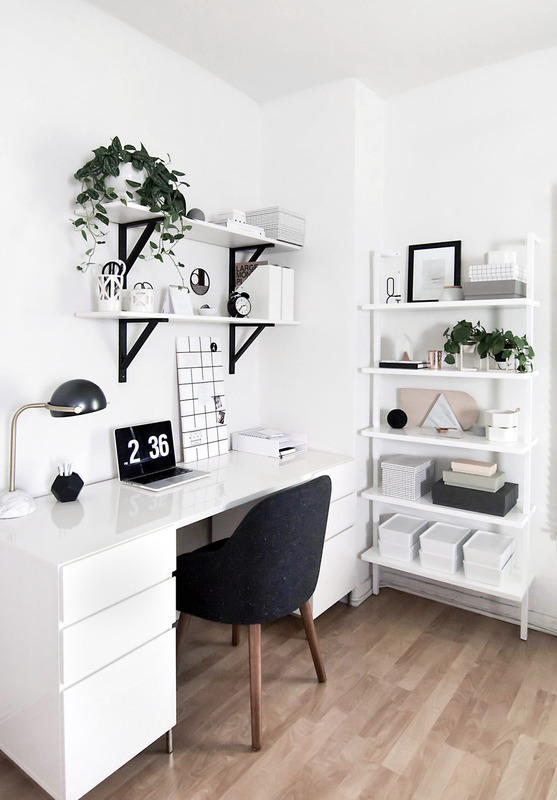 If you have other tips to create the perfect working environment, let me know down below as I’m always looking to make my workspace the most inspiring and motivating possible! Now, back to work y’all! I totally agree with you that having a decluttered space helps you think and function way better… My space is a mess at the moment and I’ll definitely be cleaning up by morning.